As I have before, I wanted to mark the third anniversary of this blog since we posted three articles on September 15, 2011. In the last year, you (the reader) have helped the Report grow beyond our most optimistic hopes. We have done our best to cover significant events like the Gurlitt saga and restitution issues, the Detroit bankruptcy and the Detroit Institute of Arts, the Corcoran Gallery merger, auction houses and privacy in New York, the Beastie Boys GoldieBlox and copyright/fair use, the “flea market Renoir” case, and so much more. Our monthly traffic in year three has almost surpassed the readers in all of year one, and the sky is the limit. As always, the goal remains to present a fresh perspecive on these legal issues affecting the visual arts and its institutions, of use and interest both to the lawyer and non-lawyer alike. The St. Louis Art Museum has defeated the federal goverment's efforts to seize the Egyptian Mask of Ka-Nefer-Nefer under U.S. customs laws. 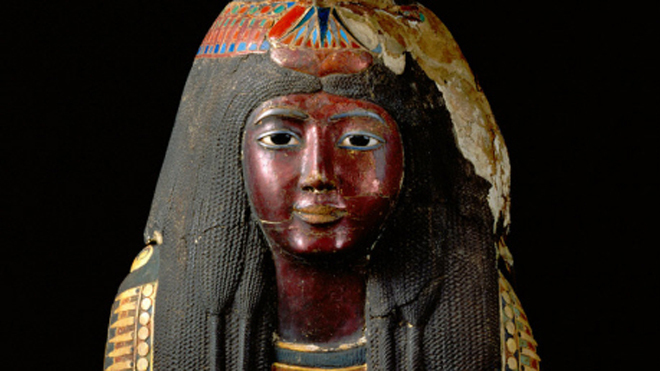 The Mask of Ka-Nefer-Nefer is a funerary mask of an ancient Egyptian noblewoman. The St. Louis Art Museum purchased it from a dealer in 1998. Sometime later, the United States began to seek its seizure, arguing that it was stolen property. The museum sued the government in the first instance to seek a declaration that the attempts to seize the Mask should cease. The United States then brought a civil forfeiture action under U.S. customs laws (proceedings in which the object is the defendant, making the case United States v. The Mask of Ka-Nefer-Nefer; it is left to the person claiming ownership to file a claim in which she bears the burden of proof). In its papers, the government essentially argued that the fact that the Mask had gone missing in Egypt by 1973 and then surfaced in a sale in the United States decades later, meant that it could not have been imported legally.